A Computerized Tomography (CT) Scan is a specialized X-ray technique that is capable of creating high-resolution, cross sectional images of the body in 3D. 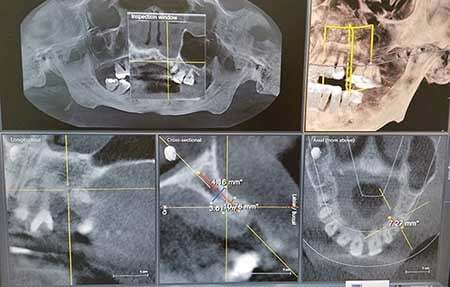 CT Scans produce images that appear as slices and can be used in a wide variety of medical and industrial applications. There is always a risk involved with exposure to the radiation associated with X-ray technology, but a majority of medical professionals are in consensus that the advantages of obtaining these images far outweighs the potential harm of exposure to relatively insignificant amounts of radiation. Looking for a cutting-edge dental practice that uses the latest technology in dentistry? 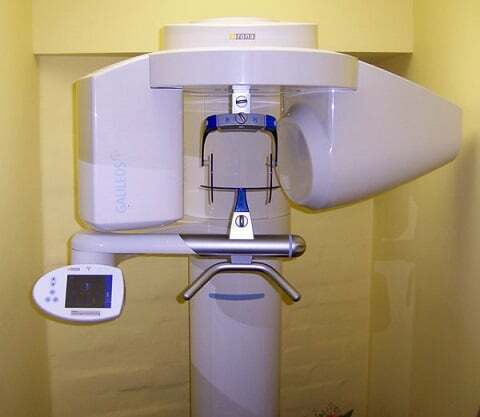 Visit Carson & Carson, DDS, the Oxnard dentists with decades of experience with CT scan and X-ray machines. With over 45 years of experience, the Carson & Carson dental office in Oxnard is one of the most trusted and respected practices in California. Feel safe & confident in the treatment you get from our dental specialists at Carson & Carson. Call or make an appointment today to receive the affordable, quality care that your teeth deserve 1-805-983-0717. High resolution 3-D images in just seconds! 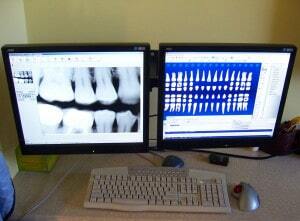 At Carson & Carson, we have our very own state of the art CEREC by Sirona Galileos CT scanner in our offices. This machine is capable of producing incredibly accurate 3-D images in just seconds and offers a much lower exposure to radiation for our patients when compared to traditional X-Rays. We are one of the many 14,000 CEREC dentists in the United states, but since our purchase of the Galileos in 2005, we have been one of the only dental practices in all of Ventura County to be able to offer dental CT scans to our patients. Don’t miss out on your opportunity to utilize our state of the art CT scanner for your dental treatments. Call us today to schedule an appointment with Carson & Carson, DDS 1-805-983-0717. A huge advantage of getting a CT over a normal X-ray is that a CT Scan can capture both soft tissues and bones in a single scan giving medical professionals more information to work with in a shorter time. For this reason, CT Scans are particularly useful in: diagnosing muscle & bone problems, guiding surgical procedures, pinpointing internal injuries or problems like infections, blood clots or tumors, and the diagnosis and monitoring of cancer. CTs are a highly accurate & pain free scanning experience. There is no lingering radiation after a CT has been performed. A single scan provides many analyzable angles and images. Allows more accurate planning for impacted teeth and the placement of dental implants. Professional & experienced evaluation of nasal cavity, nerve canals, jaw, and sinuses. 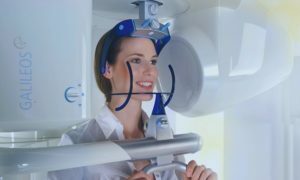 Provides imaging for diagnosing: temporomandibular joint disorder (TMJ), jaw tumors and dental infections, tooth orientation problems, and locating the source of oral pain. A dental CT Scan is a quick and easy procedure – our CTs only take 10-15 seconds and have low radiation levels due to high sensitivity sensors. The scan is completely painless, but you may hear some clicking or whirling noises coming from the scanner during an exam. There may be periods of time where we ask you to hold your breath as well. Most importantly, it is critical for you to lie as still as possible during a CT Scan to ensure a high accuracy of measurements taken. At the Carson & Carson dental offices in Oxnard, the safety, aesthetic, and lifelong lasting quality of our work is what has always been the most important to us. Swing by, and receive care from some of the most experienced and caring dentists in all of Ventura County! Call Today 1-805-983-0717.